The Republic of Guinea has a national electrification rate of 27.6%. Guinea’s existing electricity supply is largely derived from hydro power which can be susceptible to seasonal fluctuations in rainfall: 84% of businesses report power outages causing financial losses equivalent to around 4.7% of annual sales. Despite poor reliability, demand for power is expected to rise sharply due to a forecast expansion of the country’s mining industry and economic growth. The Government of Guinea (GoG) have therefore prioritised development of the energy sector as part of the country’s National Development Plan Economic and Social Council (2016-2020). The GoG is also seeking to exploit Guinea’s solar power potential, to diversify the country’s energy mix and increase the availability and reliability of power. 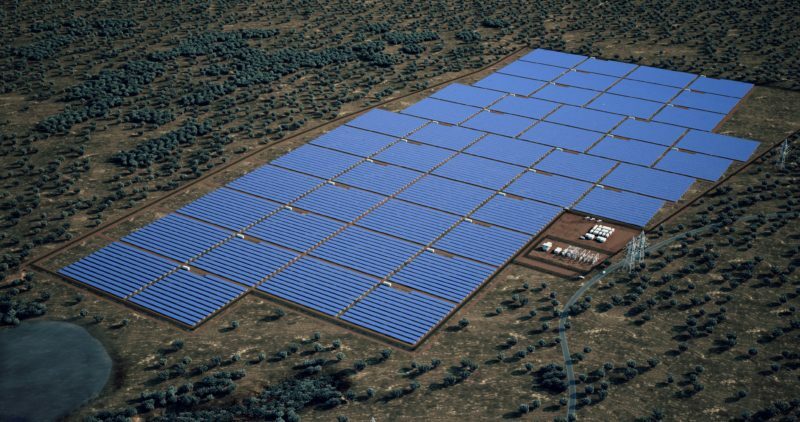 The Khoumagueli plant will be the first grid-connected solar power plant in Guinea and will deliver 40MW of clean power to Guinea’s national grid. 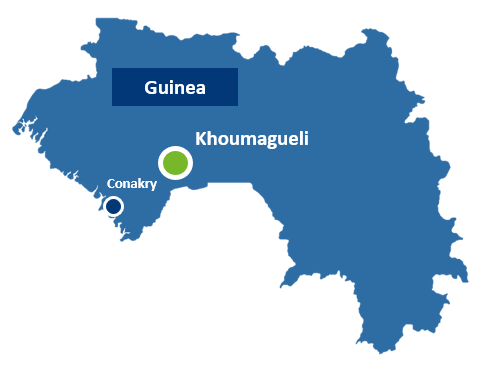 Using existing grid infrastructure, Khoumagueli will also be well-positioned to enable a planned West African Power Pool project linking Guinea with its neighbours. Khoumagueli will also complement power supplied by the nearby 75MW Garafiri hydro plant. During periods of low rainfall the Garafiri plant will be able to slow operations and store water during the day (when Khoumagueli is generating power) and then run its turbines at high capacity overnight. Delivering power in such a complementary way could result in a 20% improvement in Garafiri’s efficiency, and also minimise any disruptions to supply caused by a planned programme of refurbishments at the hydro plant. The project is therefore expected to demonstrate the use of solar power to mitigate the impact of seasonal rainfall fluctuations on hydro power supply. InfraCo Africa, through its contracted developer, Aldwych Africa Developments Ltd (AADL), is working to develop the Khoumagueli project with experienced solar PV developer, Solvéo Energie S.A.S, its subsidiary Solvéo Guinea Renewable Energy SA and parent company Solvéo International Investments SARL. The companies bring complementary skills and knowledge to the project. Khoumagueli will be Guinea’s first grid-connected solar PV power project. As one of Guinea’s earliest renewable IPP initiatives, the Khoumagueli project is expected to build government capacity to undertake future renewable energy projects with the private sector. Being jointly developed by AADL (on behalf of InfraCo Africa) and Solvéo Energie.